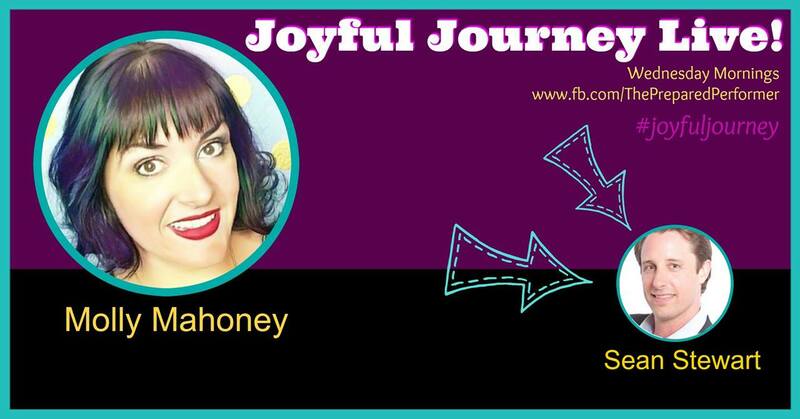 Joyful Journey Live! With transformational speaker/trainer Sean Stewart of The Creative Track. We get REAL YA'LL! Such good juicey content in this one! AND, Sean has a free gift for those who are looking to create high ticket packages! http://tinyurl.com/designyourdiamondAlso look out for these gems, Sean drops some freestyle goodness at 26 min! Sooooo good! Plus, Tips on tapping into your true best self, doubling and trippling your income, and living a more joyful life by bringing your passions into your business rather than pushing them aside. Putting your best self into ACTION! – “You can't just Talk it, you have to LIVE it! And, the power of a positive mindset – “Believe it and you will Create it.”And, a little shout out to Debbie Page and the power of CONSISTENCY! Kendra Lea Talking about connecting to a spiritual place : ) You’d love it! Drew Boudreau – IMPROV! FREESTYLE! Excited to learn more today! Been there, sometimes slip back to that place. Intellectually I know of how to live a better life, now to put it in practice on a daily basis. This is what we call learning out loud! I am happier just watching YOU Molly Mahoney. Hi Sean Douglas Stewart! Indeed. Get out of your head! Weekly brain dumps are essential too. Taking a moment to just turn it all off and unplug and instead plug into creativity. It’s easier for inspiration to coming knocking on your metaphorical door when your in this place of presence. It’s so frustrating people not understanding creative and life coaches. It’s not the norm therefore it’s either ‘not real’ to them or ‘not viable’. So sad because great life coaches change lives. Self-development is not at all celebrated for all that it is. Those who do know its power are missing out. We should all bring the passion in all we do. Passionate people are where it’s at! One of my fb live hash tags themes is freestyle Friday ha ha so fun 🙂 you never know what you’ll got on that day. It’s awesome!